Oberon Council’s Administrative Centre will be closed from 3.00pm Tuesday December 24 and will reopen at 8.30am Thursday January 2. The Oberon Council Library will be closed from 3.00pm Tuesday December 24 and will reopen at 10.00am Tuesday January 2. The Oberon Visitor Information Centre will be closed on Christmas Day December 25, Boxing Day December 26 and New Years Day January 1. 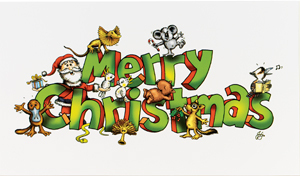 The Oberon Swimming Pool Complex will only be closed on Christmas Day December 25 2013. For further information please contact Council on 6329 8100. Councillors, Management and Staff would like to wish you all a very safe and happy Christmas.